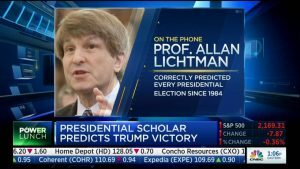 This is the message that American University history professor Allan Lichtman has been screaming at the world since 1981: It’s not that the polling system itself is broken — instead, polls behave exactly as they’re designed. The problem is they aren’t designed to predict the outcome of elections. Earthquake Science Explains Why Election Polls Were So Wrong. Engadget, November 18, 2016. The best part of when things go wrong is learning from them, so don’t miss the opportunity. When I bring a data driven discipline to a project I inevitably get someone who produces their own data and then argues with me why theirs is the better insight. I almost always ask why they had not published their view in the past. They almost always explain to me that they had never thought about it before. Right now, as with any crisis, is the best time to think about why we got things wrong and what we need to do to improve. Inevitably it means paying renewed attention to the data and theory behind it and seeing all the unspoken assumptions. Often it also means that getting what we need is going to be additional work. Being objectively data driven allows us to succeed no matter how crazy the prevailing environment is, but only if we get most of it right and that requires some brutal honesty. How well is your data predicting the success of your project and what are you doing to further improve it?